If you are a blogger then you already know the importance of keywords. You may have used meta tags such as keywords or news keywords. 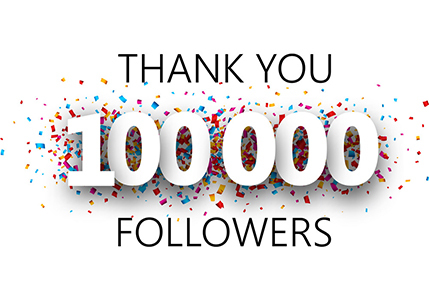 If you are one of those who are using meta news keyword tag till now for your news site, then this is for you. 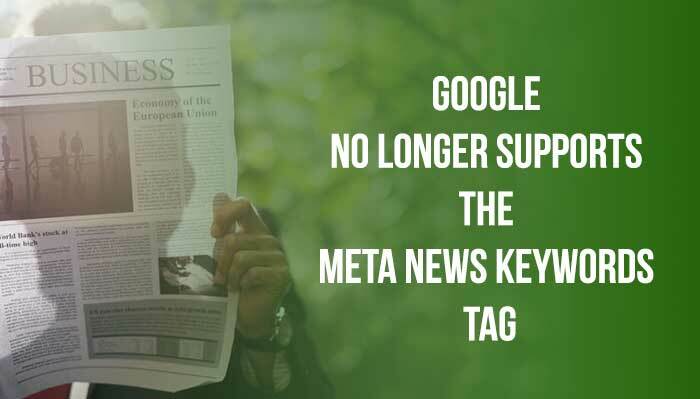 Google is no longer supporting meta news keyword tag. Actually, they have stopped supporting keyword tag and meta keyword tags months back. 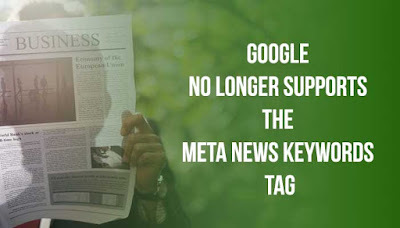 Google has clearly stated that they have stopped supporting meta news keyword tag for months. I have noticed it just now. Why did Google stop supporting meta news keyword tag? It is a news for all the bloggers or news publishers who are still using news keyword tag. I can't confirm the reason as till now Google has not said why they have stopped supporting meta news keyword. tag. Even if you are using this tag, it will not do any harm. Google simply ignore it. I recommend that you should not use this tag as no one likes unnecessary code in his design. Still, have any questions, feel free to ask me.